It all started when you attended an Indian wedding for the first time. It invoked your curiosity, and got you thinking how complicated and sacred Indian weddings seem. 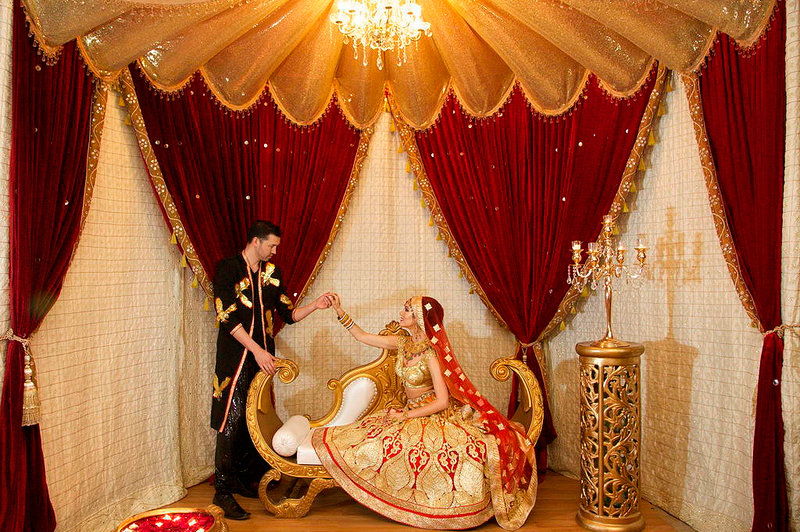 Likewise, many non-Indian Americans have been captivated by the concept of having an Indian themed wedding, all that is required is to contact an organization that specializes in Indian wedding decorations in NY However, if you are attending an Indian wedding for the first time, here are some important tips and hints on what to expect and how to prepare for it. In Indian weddings, the guests, bride and groom are all dressed in brightly colored clothes. The objective here is to wear the brightest and the most colorful dress you can find. This will ensure that you will blend right in along with other Indian guests who will be wearing something similar. While men can get away with a suit and tie, women are expected to wear specific Indian dress. Women should either wear a sari or a lengha on the reception day. How Long Does an Indian Wedding Last? Unlike American weddings which can be over in a few hours in some cases, Indian weddings can last for several days. On average, most Indian weddings lasts for three days. The first day of the wedding begins with prayers, a priest blesses the couple and only close relatives of the bride and groom are invited to attend the prayer services. One day two, a ceremony called mehndi is held by the bride’s family. During this event, friends, family and cousins gather together and women undergo a ritualized tattooing using a compound called henna. Later, food and festivities begin and the celebrations can last beyond midnight. In the third and final day, the cocktail party and the reception is held, this is by far the grandest of all days. Depending on your relations with either the bride or groom, you may be invited to attend all three events, or only one or two events. In any case, the wedding invitation card should mention the date, time and venue for the invitation. What Are Some Unique Ceremonies in Indian Weddings? Well, the most unusual and exciting part of the wedding is the baarat. During this event, the groom mounts a horse followed by a procession of relatives such as the groom’s friends, family, cousins and others. The whole procession heads towards the reception hall where the bride awaits and where the priest will perform the wedding ritual. This wedding ritual can involve the bride and groom circling around a holy fire seven times which signifies that they will be together for seven incarnations.